Open to the public. 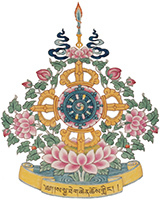 For the long life of the lamas of the Sakya Khon lineage. Sunday, April 28 Time: 11:15 am Location: Shrine Room Taking refuge is the first step on the Buddhist path to enlightenment. Refuge is a formal ceremony during which a person formally becomes a Buddhist. For more information or to sign-up, please call 206-789-2573 or e-mail monastery@sakya.org.